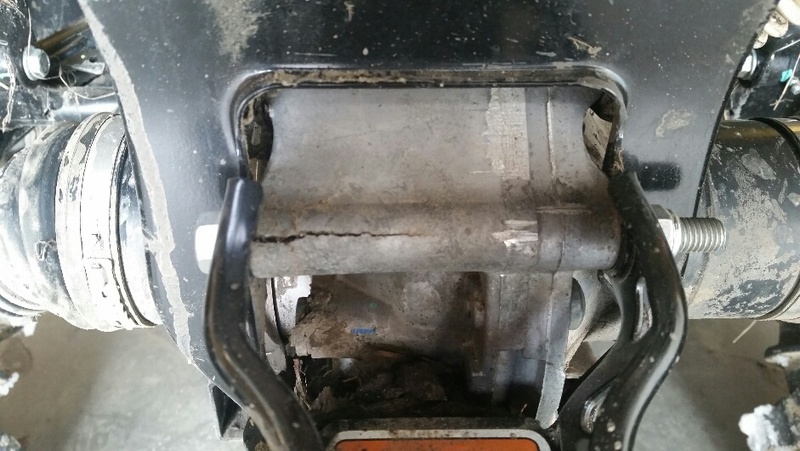 The rear hitch stock set up has me bewildered...why would can am attach the hitch to the rear diff...looks like a cracked or derailed diff waiting to happen....has anyone made any modifications that they can share with me? Or am I worried about nothing...using bike for hunting and pulling tandem axle trailer....says it can pull 1390 lbs but 50 or 55 lb tongue weight...when going up and over beaver dams and ruts, the hitch pressure will change and I am concerned......thanks. Guys! Not that I have saw but I will tell you my atv and my buddies rhino where tied off to trees with the hitch while we both pulled on a lifted 4door wrangler saddle bagged in a ditch... So they are decently strong.. What is your weight gonna be? 2013 outlander xt 1000 Pure Magnesium. Uni foam filter,Ricochet skids,Moose plow,Muzzy Exhaust,Heat demon heated grips. Soon to come Tuner,Clutch kit and tires! 2002 Dodge Ram 2500 5.9 Cummins 6 Speed. Bunch of mods! I towed my 3750lb boat and trailer thru my yard with my '12 XT. It has well over 100lb tongue weight. No issues. Exactly how hard are you planning to be on that poor hitch? 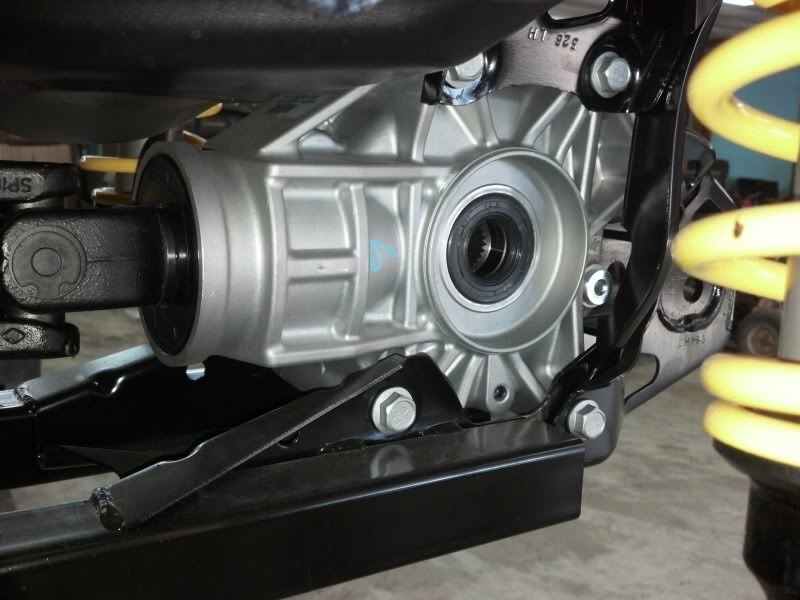 Here is a pic from internet to see where the hitch hooks top and bottom to rear diff. Yeah. I know where it bolts to. I had it off when I installed my skids. I really don't think you'll have any issues. Especially if you heed to their specs. If you need to really reef on your machine, find somewhere else to hook to. Last edited by Randyst; 10-26-2015 at 08:21 PM. I pull nearly nothing with mine, simply because of the weak rear diff issues….. I have a tractor for work! Check out this link for hitch dif supports. These are nice but a little pricey. Looks like a good option to distribute the weight better. I have yet to save up the money for one.